What a lovely gift and keepsake this luxury 100% cashmere hooded baby blanket makes. 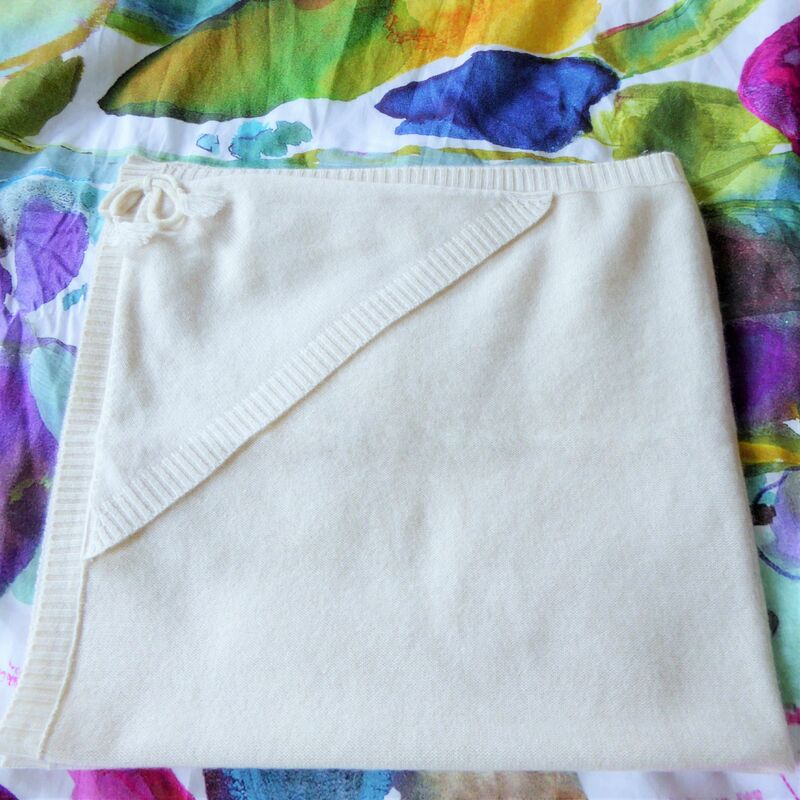 Soft and warm and cosy, this cashmere baby blanket will keep baby wrapped up beautifully and mum will treasure it forever. 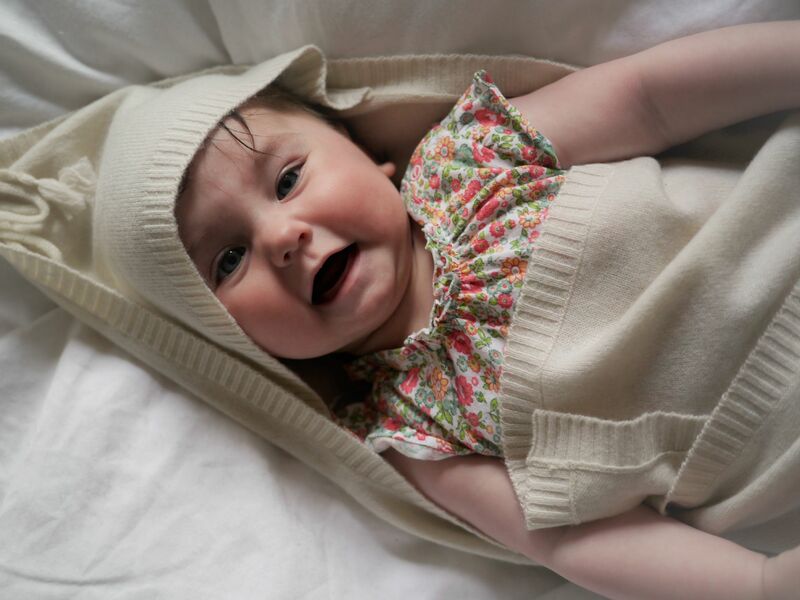 A delicate plain knit design with a small rib hem and a corner hood. 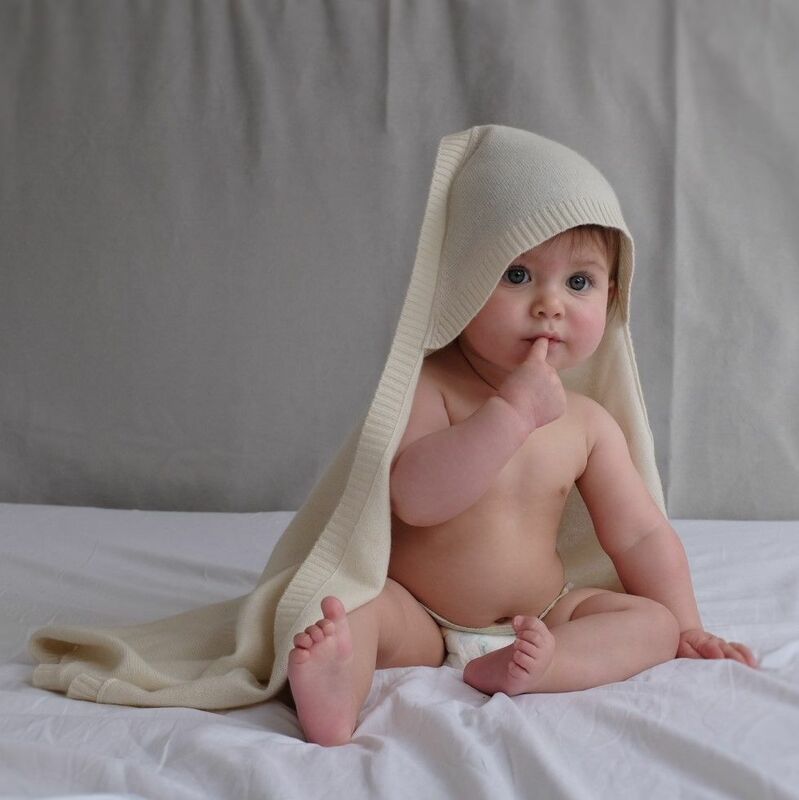 The label says dry clean but we recommend that you delicately handwash this gorgeous blanket in order to maintain its softness.